Evangelist Chakeva A. Harris is a native of Macon, Georgia born from the parentage of Samson Harris and the late Minister Gladys S. Harris. She received her undergraduate education from Georgia Southern University and Christian Life School of Theology. Evangelist Harris began singing for the Lord at the tender age of 5 and gave her life willfully to Christ at age 8. She discovered her true identity as a chosen vessel in Christ at age 16 and accepted the call to preach the gospel in May of 2006. From that time forward, she has devoted her life to being a messenger for Christ. Evangelist Chakeva A. Harris is truly a singer, songwriter, recording artist, worship leader, teacher, preacher, prayer warrior, and now author infused by the hand of God. Evangelist Harris is passionate about working with battered and abused women, hurting families and the youth of today. She is also empowered to cross racial barriers and help those of all ages, nationalities, creeds and colors. Her mission is to play a vital role in cultivating nations to return to the heart of God through authentic worship in spirit and in truth. Through this mission, God allowed Evangelist Harris to give birth to “Heart of Judah Outreach Ministry” in January of 2009. 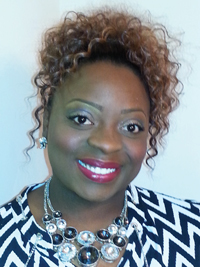 Evangelist Chakeva A. Harris is a “powerhouse” of a preacher known for speaking a rhema word into the lives of others. Her unique zeal for God, charismatic delivery of His Word, and angelic voice has been proven to transform the lives of others for the better. Evangelist Harris proudly serves as an Associate Pastor at Agape Covenant Worship Center in Macon, Georgia, under the dynamic leadership of Pastor R. Marquis and Lady Marlena Belcher. In closing, Evangelist Harris truly believes that all things are possible through Jesus Christ…Only Believe! Have you ever encountered a “David-Saul” situation in your life? Have you ever been entangled by your loyalty to someone whom you loved, admired and looked up to only to experience the devastation of their unrequited love toward you? Have you ever felt “used up” and treated like a puppet of performance by those of false leadership…, only seeking what your gift could do for them, but never really having your best interest at heart? Perhaps you feel forsaken, broken, withdrawn, used, abused, neglected, hated, discredited and downright discouraged because the pursuit of the enemy after what God invested in you has been catastrophically great. If so, then this book is just for you! Beyond the Break has been designed specifically to encourage those who are currently in or those who have survived the struggles of being anointed and appointed by God, but still considered the unlikely candidate by mankind. Even after surviving the deepest church hurt, many of us are often left with a film of residue that tends to linger in our hearts and minds. Yet, through the entrance of the Word of God that brings light to the darkest elements of our lives, there is great hope! 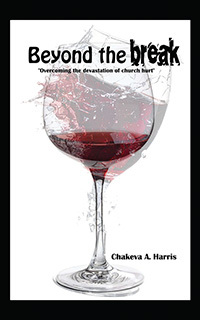 Through the life of King David, Evangelist Chakeva Harris will take you through an epic journey with God that will leave you with a greater understanding of the “why” factor in your life, as well as, assist you in evoking the power embedded in you to overcome the javelins being so furiously launched at you. As you read each page, it is with sincere hope that the words of encouragement, restoration and reconciliation leap off of the pages and into your innermost being as you began to move Beyond the Break! Ready? Let’s go!